Use this free printable bear color graph activity set to practice a variety of early math skills. Several math games and activity ideas are included along with many open ended questions to help kids with their numeracy skills. 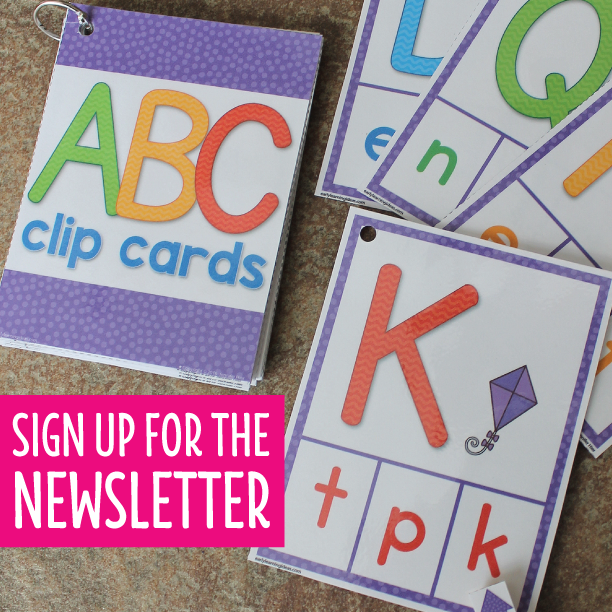 Kids can work on color identification, color sorting, counting, and number comparisons. Today I created a bear color graph activity for you. 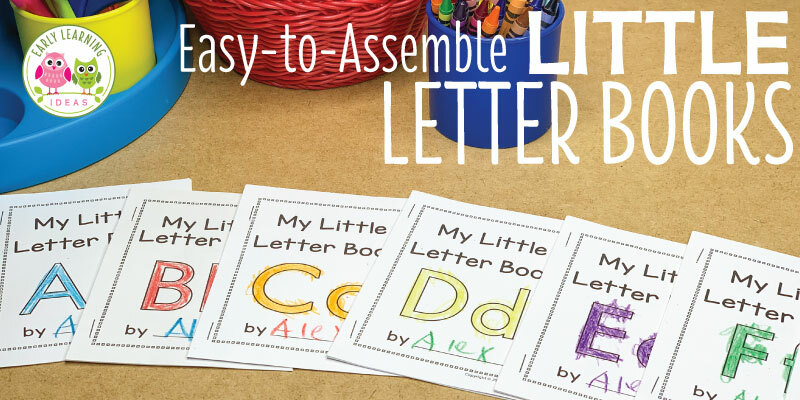 The activity consists of 3 simple components, but your kids can use the set in a variety of ways. Now that you have downloaded the document, you will see that it contains a color graph, a printable spinner, and a page of printable bears. Print the quantity of each page that yo need. Then, complete the spinner with a 4″ plastic spinner attachment, or you use a brad and paper clip. If you want to see how I make spinners, check out this article. Now that you have everything ready, let me show you a few ways that you can use the bear color graph. 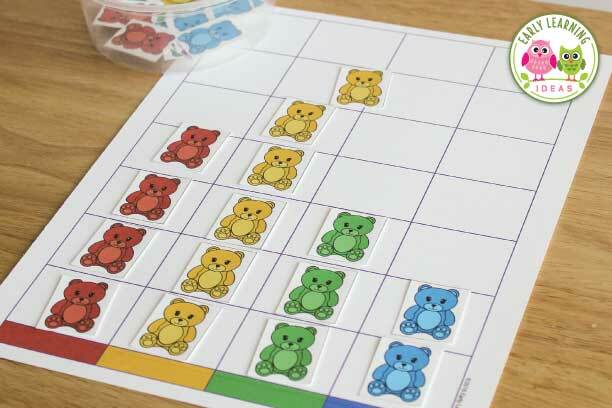 For this activity, each child will need one color graph and a container of counting bears (or a pile of printable bears) Kids should take the bears out of the container and place them in the matching color column on the graph. 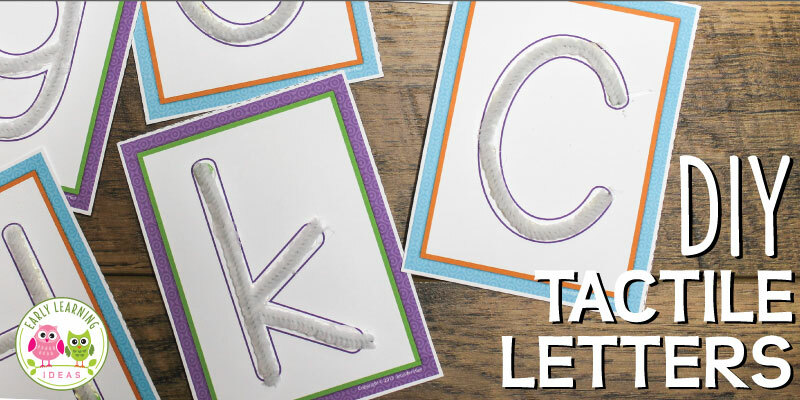 Kids can practice naming each color. Tell me how you sorted the bears. Which color has more? Which has less? How do you know? How can we make the red and yellow columns equal? Can you tell me how you figured that out? How can we figure out the number of bears that we need to fill all the squares? Do you have any extra bears after filling the yellow, red, or blue column? How many extra bears do you have? Each child will need one spinner and one color graph for this activity. Children spin the spinner to determine which color to add to their graph. Children continue spinning and adding bears to the graph until one color column has been filled. Which color do you think will win? Was your prediction correct? Which color had the next highest number of bears on the graph? How many more bears would you need to add to that color to fill the column? What do you notice about these two colors? Are they different or equal? Can you tell me how you know? Which color did you spin the fewest times? How can you tell? This activity will be great for 2-4 players. Each child will need a color graph and a container of bears. You will need 1 spinner per group of children. Each child takes a turn spinning the spinner and adding the matching color of bear to his or her graph. The first child with a column filled is the winner. How many more red spins do you need to fill the column? How do you know? What do you notice about your friend’s green column? How many more blue spins do you need to make you blue column equal to your friend’s blue column? This is my favorite activity. 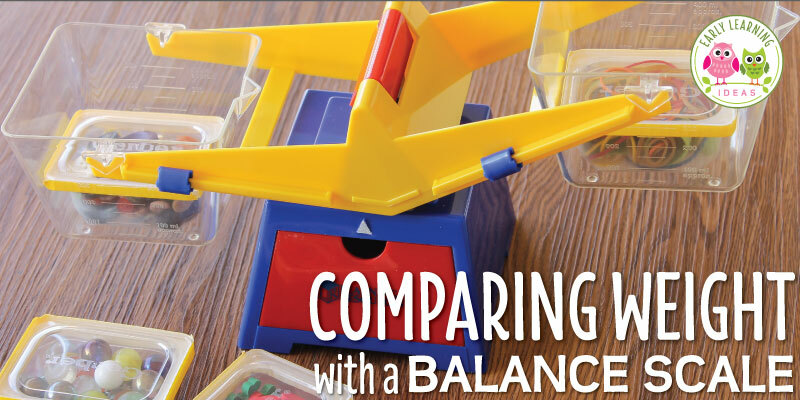 It is fun to play in a small group so kids can compare each other’s handfuls. Each child should take a random handful of bears from a container and sort the bears on his or her color graph. Which column has the most bears? Which column has the least number of bears? How many total bears do you have on your graph? How do you figure it out? Is there another way to count them? Who has more total bears on a graph…you or your friend? How can you tell? How many blue bears do you need to equal the number of yellow bears? Do you think that the graph for your next handful will be the same or different? Why or why not? When I created the graph and spinner I made them be very generic so that you can use them with counters other than just bears. Use your imagination and use counters that support your thematic unit. Your kids will enjoy sorting dinosaurs, farm animals, sea creatures and/or buttons as much as they enjoy sorting bears. I hope that you enjoy using the coloring graphing activity with your kids. Do you use the set for any additional activities? I would love to hear about them. Please share in the comments below. 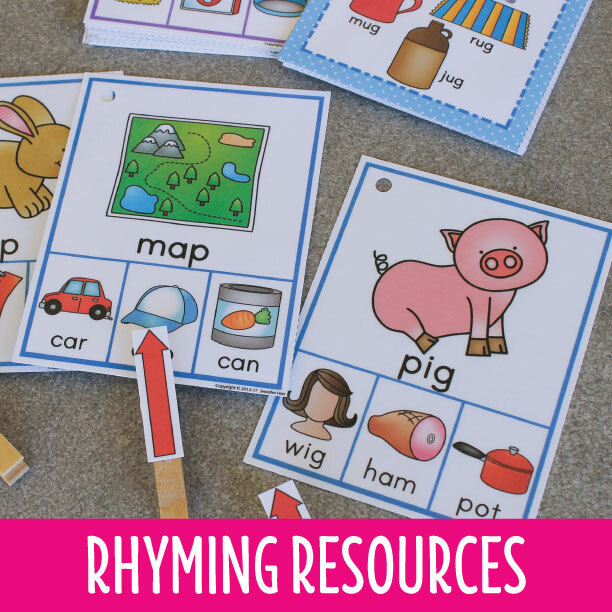 If you are looking for additional bear activities, I do have some in my TPT store. Click the pictures below to check them out. Below are some items from Amazon that can be used for the math activities mentioned in this article. The links below are affiliate links. If you happen to purchase something from link, there will be no additional cost to you, but a small portion of your purchase will be used towards the cost of maintaining this website. is there any way to print the activity off?